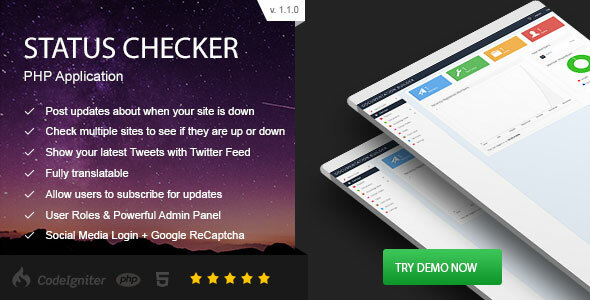 Status Checker is a PHP script that allows you to post updates about the state of your site. It includes a site checker, a tool that pings URLs and determines whether they are up or down. It is built using PHP and a MYSQL database.